This page shows the latest Rixubis news and features for those working in and with pharma, biotech and healthcare. Behring and Baxalta, which launched BeneFix rival Rixubis in 2013. 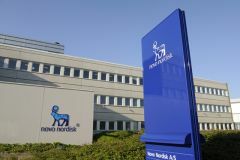 Baxter received a positive opinion for Rixubis (nonacog gamma) in the treatment and prevention of bleeding in patients with haemophilia B.
growing 8% to $1.7bn, mainly on the back of strong performances for haemophilia drugs such as Advate, Rixubis and Feiba, which grew 11% to $942m. compete with Baxter's recently-approved Rixubis.